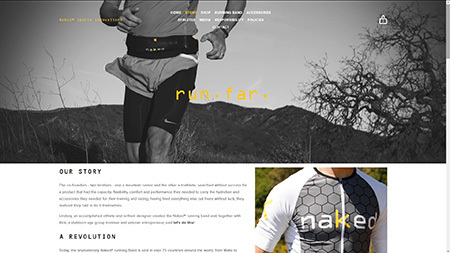 As of mid-October, you’ll be able to get into our two newest products, the Naked® running spra and Naked® running vest. The Naked® running vest is made from the incredibly breathable, quick-drying, non-chafing and bounce-resistant Naked Power Mesh. It weighs in at only 3.5 oz. and, with pockets on the front, sides and back, it has a whopping 3-liter capacity – perhaps the highest weight/capacity ratio for packs in the world. 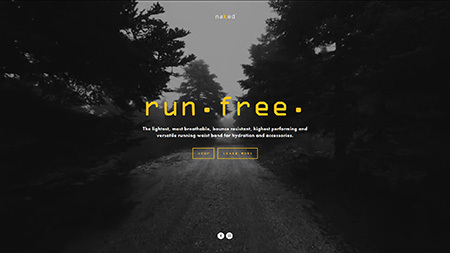 Its unique design ensures weight distribution of the things you need on the run, including poles, flasks (any model will work), reservoirs (the front pull cords double as tube locks), food, clothing, and accessories. Safety features include a shock-cord mounted high volume safety whistle and reflective elements. An internal micro clip is also provided for keys and other valuables. The Naked® running vest is made to wear next to the skin or over light clothing and comes in Men’s and Women’s models, in 12 sizes for a precise fit. As for the brand Naked®, our products are so light and comfortable, it feels like you are wearing nothing at all!